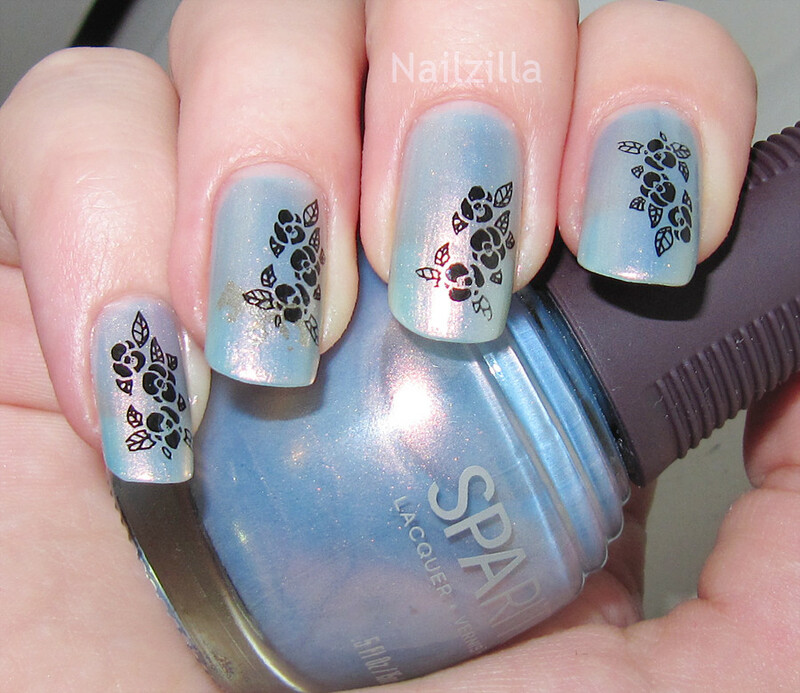 Sparitual - it's raining men is a beautiful dusty blue duochrome to pale gold and light pink - very pretty! In the photos it looks more gray than blue and in real life this is also true. The yellow evens out the blue into a greyish tone and it ends up looking very interesting...It's not as bright as I would've liked but it's very subtle. I was disappointed with the formula...it was runny, the the worst part was the bubbles and chunks! I rolled it in my hands for a while, didn't see any bubbles in the bottle, put it on...chunky bubbletime. For 12 dollars? No thanks! blue shows up better with a flash! I was a little upset at that but once I put the roses on I had a very different opinion...they came out beautifully and the color grew on me. I'd give this a thumbs up, especially as a base for nail art.Maybe my bottle was old...I'm not willing to dismiss such a pretty color on its formula alone. BTW: what do you think of my photos lately? I'm working on a laptop so the colors don't look right to me and I have to guess...do they look too pink or too dark to you? Please let me know, I really need feedback! that's such a pretty duochrome! it's really evident that there's a color shift, even though it's not a dark duochrome. i wonder how it would look over a dark base though! 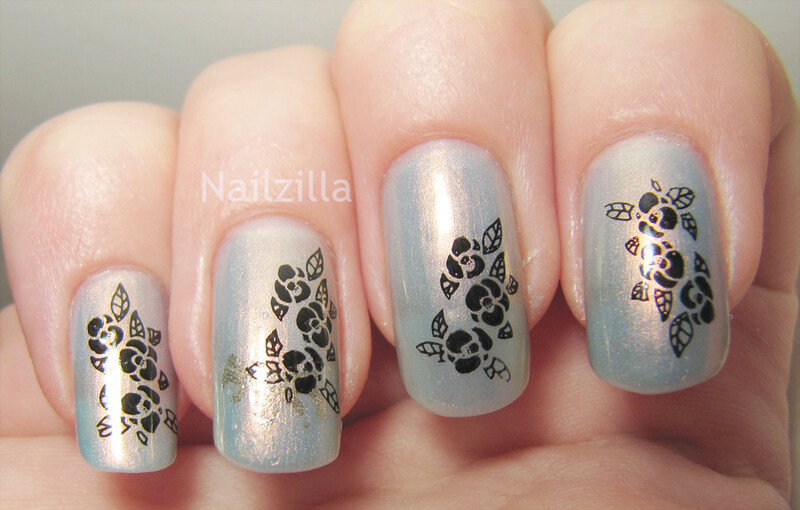 I really wanted this lacquer...now I'm not sure. It looks beautiful though. Have you used other colors from this brand?